LiveCode LessonsData GridLiveCode Data Grid Data Grid FundamentalsHow Do I Populate a Data Grid With Data? 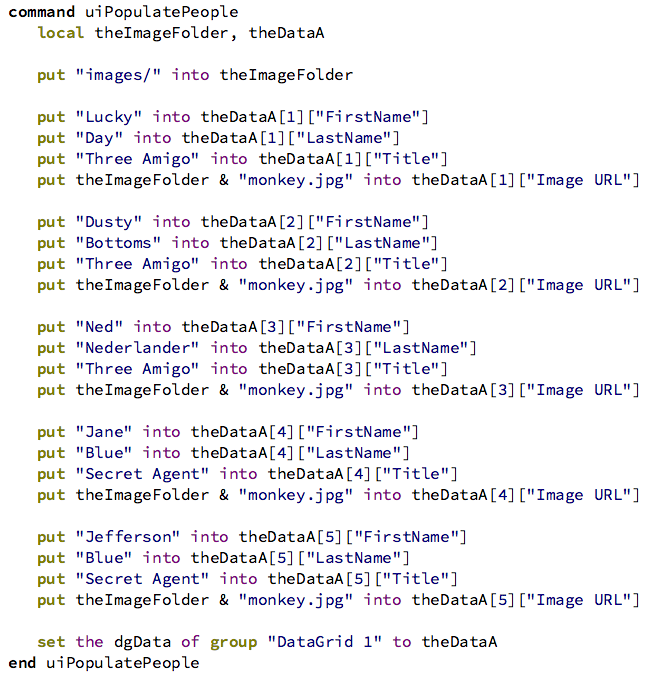 There are a couple of ways you assign data to a data grid. This lesson will show you how. You can use the Contents pane of the property inspector to quickly assign data to a data grid. This does not provide as many options as setting the properties mentioned below but it will get you up and running quickly. 2) Enter some tab delimited text into the field. When you use the property inspector to assign data to the data grid the property inspector sets the dgText property of the data grid. 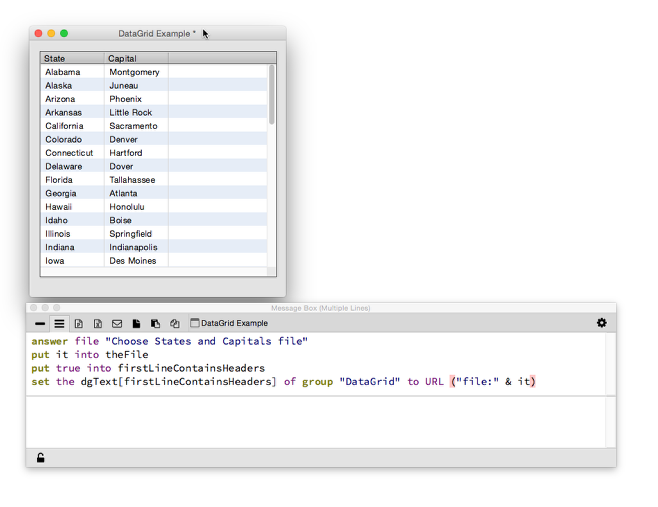 In the example code above there are 5 records, each with a "FirstName", "LastName" and "Title" property. Your templates will have access to these properties when the time comes to draw the data on the screen. Prev: What is a Column Template? Next: How Do I Customize A Form's Row Template? "Note that if pFirstLineContainsHeaders is true then the columns must already exist in your data grid table in order to be displayed." Suppose I need to create the columns dynamically, based on the file being read (CSV spreadsheet with header names in first row). I can see how to set the contents using 'dgText of group "Foo"', but don't see anything like that for columns. I've tried dgCols and dgColumns, no luck. @Nate - you can set the dgProps["columns"] property of a data grid. 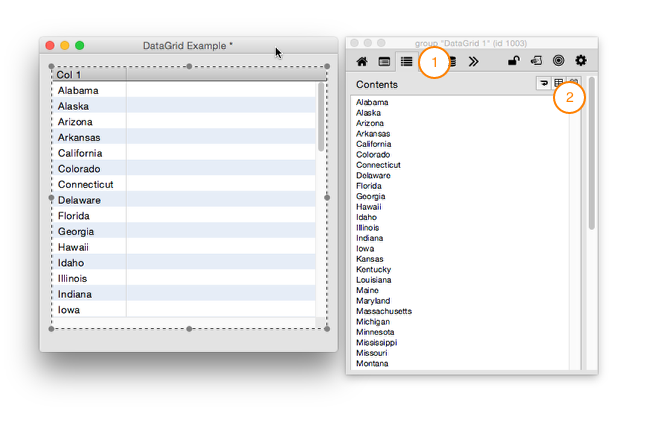 See the data grid properties page for a description. This lesson shows an example of setting the property. Is this what you meant, or are you looking for something else?